« Hawai’i – Heaven on Earth! One year ago today was the first day that Peter and I were engaged! 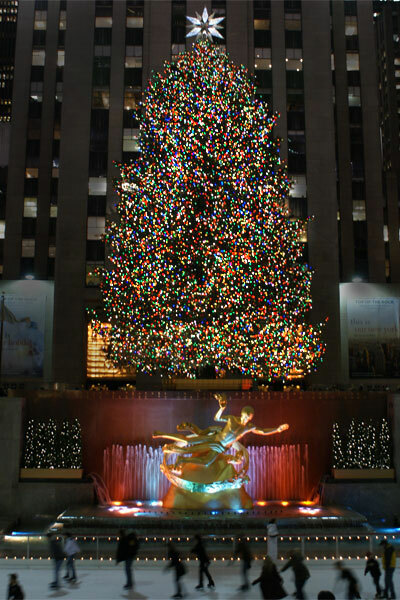 On Dec 22 at about 11:30 pm we were in front of the Christmas tree at Rockafeller. At this time a year ago, we were driving to my parents and calling everyone along the way to tell them the exciting news. It’s a little crazy to think back to how we felt then compared to everything that has happened in the last year. A lot of people asked right away when we would get married and who was in the bridal party etc. We felt overwhelmed and said we didn’t want to start planning an actual wedding. By New Year’s Eve, we had decided to get married in 2008 rather than waiting for a year and a half for warm weather to return. When we talked to some newlyweds about getting married within the year, they said we had better start now now now! And the whirlwind began… I am pretty proud of the wedding we planned, and it’s even more amazing when I realize we did it in only 9 months. This entry was posted on Tuesday, December 23rd, 2008 at 12:48 pm	and is filed under Wedding. You can follow any responses to this entry through the RSS 2.0 feed. You can leave a response, or trackback from your own site.